So easy to get to - so difficult to leave! 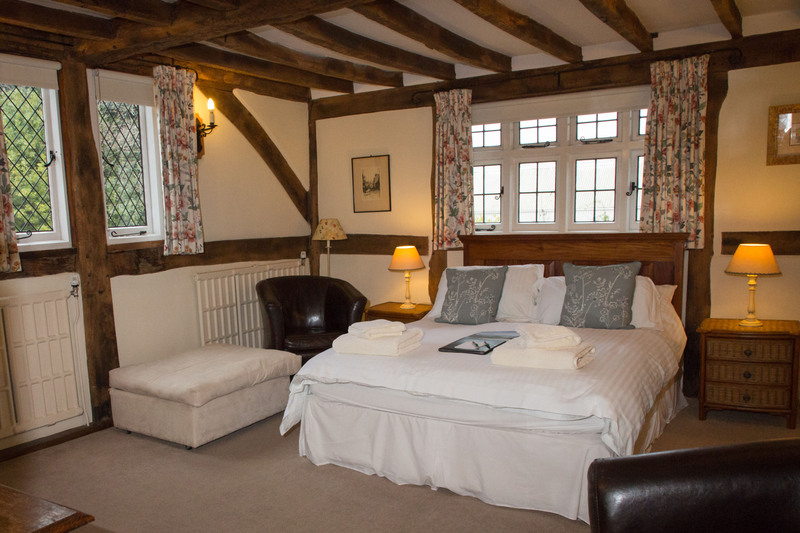 Treat yourself to a stay in The Old Farmhouse B&B, on the outskirts of Windsor, and enjoy the elegant rooms, outstanding breakfast and tranquil location. With convenient access to the M4 and M25, getting here couldn’t be easier but you might find leaving us more difficult! Please explore our rooms below. 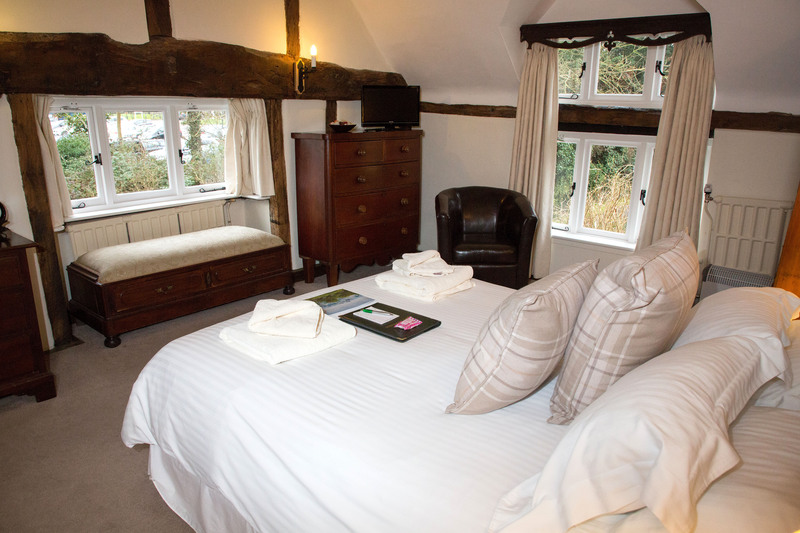 The Old Farmhouse is a four star, silver award winning Bed and Breakfast in Windsor. Established ten years ago, it is a fifteenth century timber-framed house, set within elegant grounds, on the outskirts of Windsor, Berkshire. The local Conservation Officer has described the house as being one of the best examples of a timber-framed building in Berkshire. 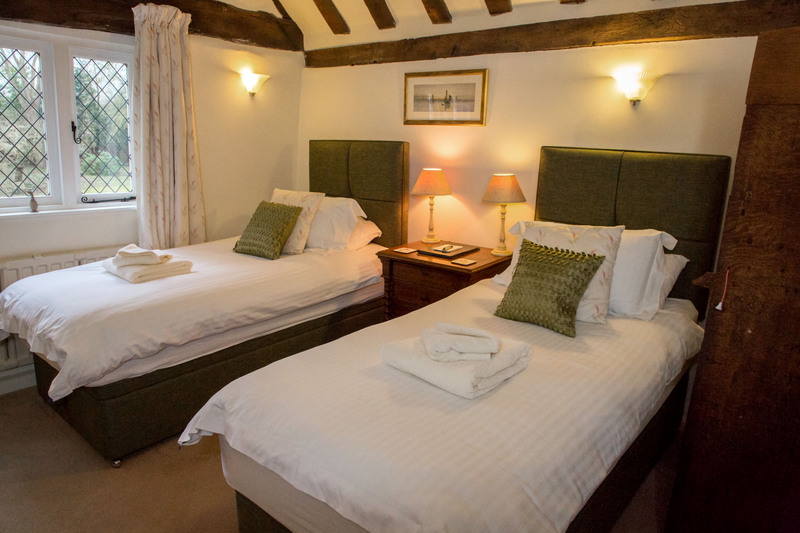 Surrounded by tranquil gardens, The Old Farmhouse offers four comfortable, en suite bedrooms with TV and Wi-Fi. Full English or Continental breakfast is served in the beamed dining room. We are very proud of our reputation but don’t take our word for it. See what our guests thought! We are only three miles from the town centre and Windsor Castle and a short drive from Legoland and other local attractions. Heathrow is twenty minutes away by car and the distance to the M4 is less than three miles. Windsor town combines hundreds of years of history with contemporary shopping and fine dining. There are also two pubs/eating houses within walking distance, that serve very good food. The Greene Oak is just across the road from us and is outstanding. It is advisable to book a table in advance as it is a very popular eating place. Click here to learn more about local attractions and events you might like to explore if you stay with us. In addition to offering a fine Bed and Breakfast service, The Old Farmhouse can cater for small conferences, informal gatherings and private parties. A full range of menus is provided by our excellent, resident chef. These can be tailored to suit all budgets and food preferences. Whatever the occasion, you can be sure that the venue will be exclusively yours.